Are You Ready For Wireless High End? I've been reading quite a bit these days about how wireless is creeping it's way into high performance audio. First, and probably most obvious is wireless speakers, which allows placement with unprecedented ease. 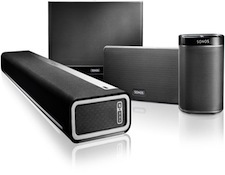 Where speakers go is suddenly not limited by cable length or bound by furniture. Given what most audiophiles endure with cabled speaker placement, that alone is obviously very appealing. 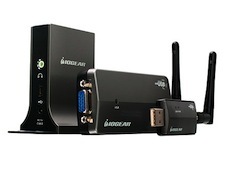 Wireless digital components are also gaining in popularity. From streaming to storage, to playback, all are available to one degree or another right now, today. It seems that the wireless revolution that has been occurring in so many other aspects of our electronic life is now available to the audiophile. So, is that a good thing? However, for many other audiophiles, wireless systems, whether just speakers or the whole kit offers a level of freedom and reduction in system cost that is very, very attractive. It also makes system placement a breeze. And it opens up a growing world of music options on which the traditional system just cannot deliver. As long as the sonics are there, it just might be the real deal. I think the verdict is still out. Wireless sound quality may well have technical hurdles that have yet been solved. Sure, there are wireless options right now and clearly there will be more to come. Wireless may well be the bridge to introduce more young people into an audiophile environment. Providing a reasonable cost for an entry level system would be highly welcomed. Maybe it will make the seasoned audiophile get up with the times. Maybe it will not gain all that much popularity. Who knows? For me, and for the immediate time being, I'm going to take a wait and see position. I also think that, at least for now, most audiophiles would have some level of wireless used in conjunction with a conventional set up. But I'd be fooling myself if I did not recognize that a wireless system something that will probably not be going away any time soon. It just might well be the future. As audiophiles, I think we need to recognize and accept that the traditional paradigm for high end audio is going to witness a lot of changes in the near future. Like it or not, these changes are going to occur. Hopefully, all audiophiles will be the recipients of increased sonics, greater ease and lower cost. Who could argue with that?